Just wanted to send my uttermost gratitude not only for the information we learned about laser removal, but also the hospitality you all had. I am blown away by the results, and it’s only been a week. It almost seems that something else gets lighter or disappears on a daily basis. Wow, what a technological accomplishment! 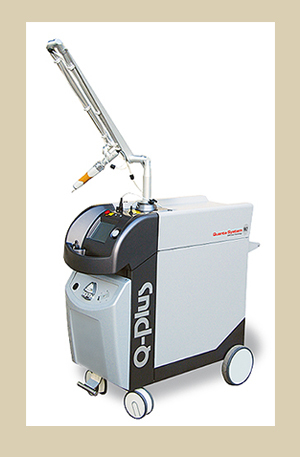 I had another laser session in California for the back of my other arm and their jaws just dropped when they saw what one session had with the quanta DNA. Thank you all again for your time and efforts. We have plenty of great footage and are excited to start the post process. We’ll keep you up to date as the project further develops. To be completely honest, I was pretty nervous about having someone firing a laser at me and I really wasn’t sure what to expect. But, upon arriving at your facility, I was made welcome and I felt very comfortable. Victor and Mary explained everything to me in a manner that I could easily understand and they put my mind at ease. The actual procedure wasn’t as painful as I expected, and it only took about 20 minutes! I can’t wait until my next session and I am looking forward to seeing the results! I’ve started having my tattoo removed with Rethink the Ink, and I recommend this company with no reservation. They are professional, confident, and pleasant. I’m extremely satisfied with the service I received because they know what they’re doing. 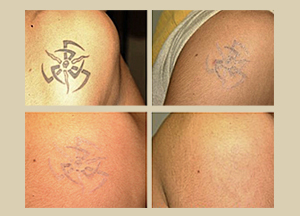 If you want to have your tattoo removed, Rethink the Ink is the right place!